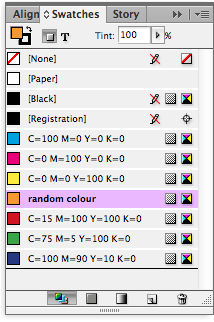 sometimes your InDesign files may get a little feral and tracking down rogue colours can be a bit tedious. 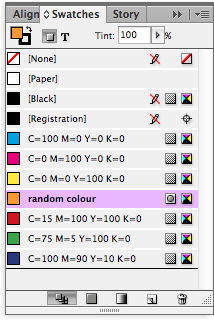 obviously deleting unused swatches is pretty easy, but this doesn’t always get rid of all ‘unexpected’ colours. 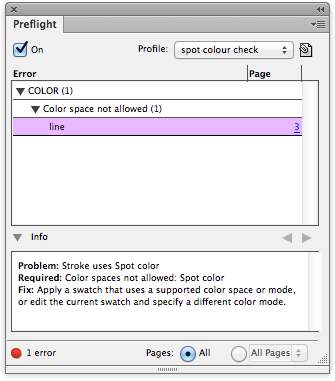 if the preflight check doesn’t show anything up, then the swatch is probably being used by a style (paragraph, character or object). delete all your unused styles, and if that swatch still won’t budge then the style attached to the swatch is probably the base for another style — get it? 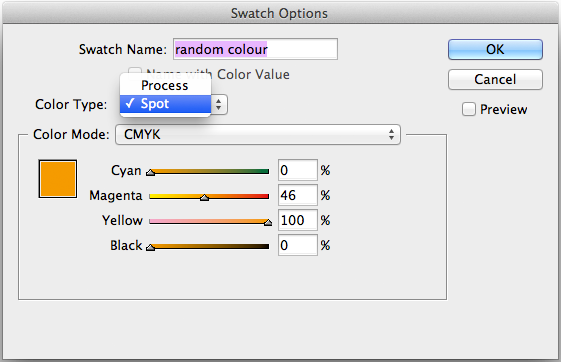 you can go ahead and delete the swatch, replacing it with whatever other swatch you choose — or not bother, if it’s not being used, it’s not being a problem. 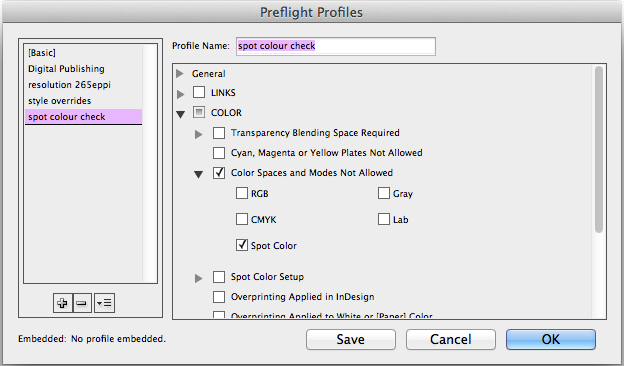 This entry was posted in indesign, indesign tip and tagged adobe, delete swatch, InDesign, preflight, tip, tutorial, unwanted color by macgrunt. Bookmark the permalink.